Welcome to the August newsletter where we’ve got an update on civil infrastructure and Maria from the Brisbane office will fill you in on our EOFY wrap in the Hunter Valley and other CGC social items. There is no doubt that Infrastructure here in NSW is absolutely booming. I have worked here in Sydney for over 10 years now and haven’t seen conditions like this ever. Although this is fantastic news for the civil industry, such growth doesn’t come without its challenges. When we mention ‘boom in the civil infrastructure industry in NSW’ a perception of contractors making record profits and thriving NSW communities is what most people outside the industry believe is happening. The reality is far from this. With so much civil infrastructure being built in NSW, competition for talent is extremely challenging. As a consequence, we are seeing an increase in the uptake of temporary contractors which, at a time like this, is pivotal to keeping the wheels turning on site whilst a permanent long term solution can be found. Positions in highest demand are Engineers and Supervisors, along with Quantity Surveyors, Commercial Managers and experienced Estimators. This is creating a great opportunity for the next generation of civil professionals looking to get their first start in construction, however, it does create real pressures for already under-resourced project teams. 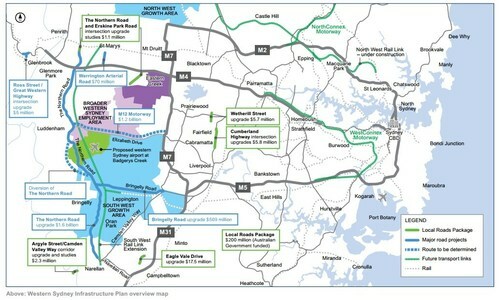 Lendlease Engineering, Samsung C&T Corporation and Bouygues Construction, has been selected to deliver the mainline tunnels of the WestConnex M4-M5 Link project. The M4-M5 Link mainline design and construct contract includes delivery of twin tunnels which will link the New M4 at Haberfield with the New M5 at St Peters. The project scope includes provision for the connection to Rozelle Interchange and Iron Cove Link and will see the creation of thousands of jobs and training opportunities. Construction to commence early December. John Holland, as part of the JHCPBG joint venture (John Holland CPB Ghella), will deliver the $2.81 billion contract to deliver the Stage 2 Tunnel and Station Excavation (TSE) Works. Complex underground structures will be built for six new metro stations in Crows Nest, Victoria Cross, Barangaroo, Martin Place, Pitt Street and Waterloo. Construction for Metro 2 has recently commenced. Laing O’Rourke have recently secured Sydenham to Bankstown upgrade is a proposed program of works to upgrade 13 km of the Sydney Trains T3 Bankstown Line and convert 10 stations between Sydenham and Bankstown to metro standards. Downer and Seymour Whyte have been named as the successful contractors to carry out the $450 million upgrade of the Princes Highway between Berry and Bomaderry. The joint venture is has recently commenced construction no the 10.5 kilometre project. Firstly, a warm welcome to CGC new starter Matt Rayburn who has joined the Brisbane office to work alongside Evan in the civil and structural design sector. 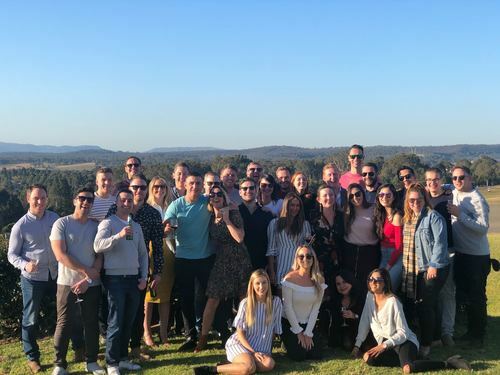 The highlight of the month has to be the EOFY celebrations in the Hunter Valley where the Sydney and Brisbane offices met up to look over the last year and celebrate the successes across the business, as well as presenting an outlook of what the next year will bring. We also had an amazing guest appearance from Tony Mowbray who delivered an extremely moving and inspirational session, covering his experiences in the 1998 Sydney to Hobart sailing race and other momentous occasions during his life. After the conference a lovely dinner and many drinks were enjoyed, leading to some sore heads the following morning, which made the boys’ golf competition and the winery tours a struggle for some members of the CGC team. It is safe to say that a lot of wine was consumed over the two days and a number of us were worse for wear by the end of it, including a particularly bad coach trip home for one of the Sydney team. August is a quiet month with no Birthdays on the horizon and by the number of birthdays last month I think the Sydney office could do with a cake break. Well done to all the boys and girls for getting out there and participating!